Scooper - Technology News: What is triple-A, and which countries make the grade? What is triple-A, and which countries make the grade? Among the headlines in the days that followed the United Kingdom's vote to leave the European Union, one was the fact that the country had lost its triple-A credit rating. So what is a credit rating, and why does it matter? In simple terms, a credit rating is the measure of how well an entity – whether that’s a country, company or individual – can pay back the money it has borrowed. In other words, its credit-worthiness. In the case of the UK, it’s a sovereign credit rating, meaning that it applies to the country as a whole. The sovereign rating is not just a measure of whether a country is good for the money, but of how it is faring politically, economically and financially. There are three main credit agencies: S&P, Moody’s and Fitch. 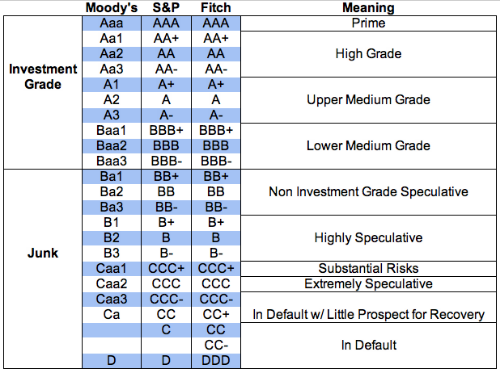 Moody’s and Fitch had already downgraded the UK, from Aaa and AAA to Aa1 and AA+ respectively, in 2013 when the government announced further austerity measures. Triple-A is the highest rating that can be given, and triple-D is the lowest. Anything below a B, however, is viewed as pretty risky. The ratings are broadly divided between "investment grade" and “junk”. The lower the rating, the greater the risk that the borrower will not be able to pay back the money. 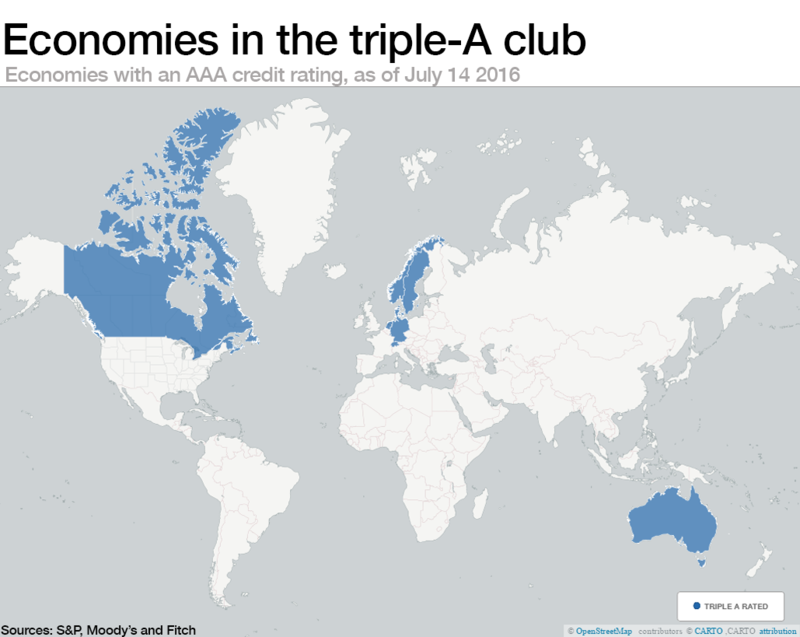 There are very few countries that belong to the AAA club. At the moment they are Australia, Canada, Denmark, Germany, Hong Kong, Liechtenstein, Luxembourg, Netherlands, Norway, Singapore, Sweden and Switzerland; and, until very recently, the UK. Hong Kong, which has Special Administrative Region status, has its own credit rating (AAA, from S&P). Some countries are close to the mark. The United States, for instance, was downgraded by S&P in 2011, but retains its Aaa/AAA from the other agencies. There are also “outlooks” that accompany the credit ratings. So for example, while Australia has a triple-A rating from S&P, it is accompanied by a negative outlook, meaning that the agency is looking closely at a downgrade. The agency will always set out its reasons for doing so. In Australia’s case, it cites an unresolved federal election result and high levels of external and household debt in its assessment that there is a one in three chance that the country will be downgraded in the next three years. The agencies produce solicited and unsolicited ratings. Solicited ratings are where the borrower has been involved in providing information to the agency and has paid for the rating, and unsolicited is where the ratings agency has used publicly available data to assess its ratings, and the borrower has not paid for the rating. What’s the effect of the rating? When a government seeks to borrow money, its rating reflects its ability to pay back the amount. The higher the rating, the cheaper the borrowing cost. This of course has a wider effect on the economy, as the government is pushed to tighten its belt to be able to afford higher borrowing costs. In order to win back its triple-A rating, the UK would have to have stable economic growth, a stable government and no threats to its constitution. In the wake of the Brexit vote, it may be a long time before it can lay claim to having any of these. Have you read? Why it's 'advantage EU' ahead of Brexit negotiations How can Britain and the EU untangle their finances? What is a credit rating downgrade?